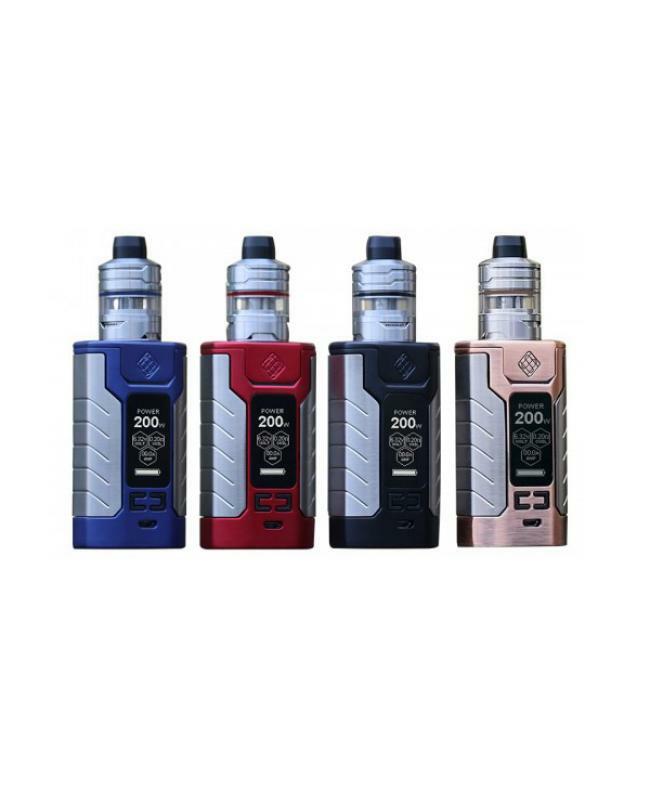 Newest sinuous FJ200 vapor mod kit by the wismec company, made of high-quality zinc alloy and stainless steel material, four fashionable colors available, the kit includes sinuous FJ200 TC box mod and divider tank. 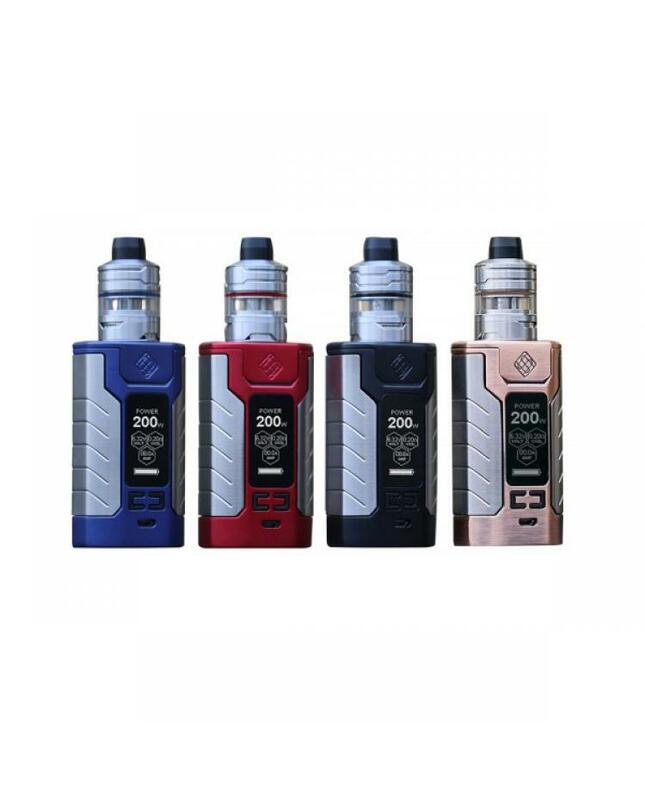 the sinuous FJ200 mod with the similar design like predator 228 mod but with updated centered 510 connectors, built-in 4600mah battery and max output 200watts. the wismec TC box mod has different working modes switchable, VW, TC-NI, TC-TI, TC-SS and TCR modes switchable. supports resistance as low as 0.05ohm under temp control mode. the wismec mod with a 1.3inch large OLED screen will show the vape parameters in a more clear way. the innovative temperature protection technology is first applied to the sinuous FJ200 mod, it will improve the safety performance of charging effectively. the innovative design of centered 510 connectors is a big plus to the sinuous fj200, can hold tanks up to 28mm diameter. 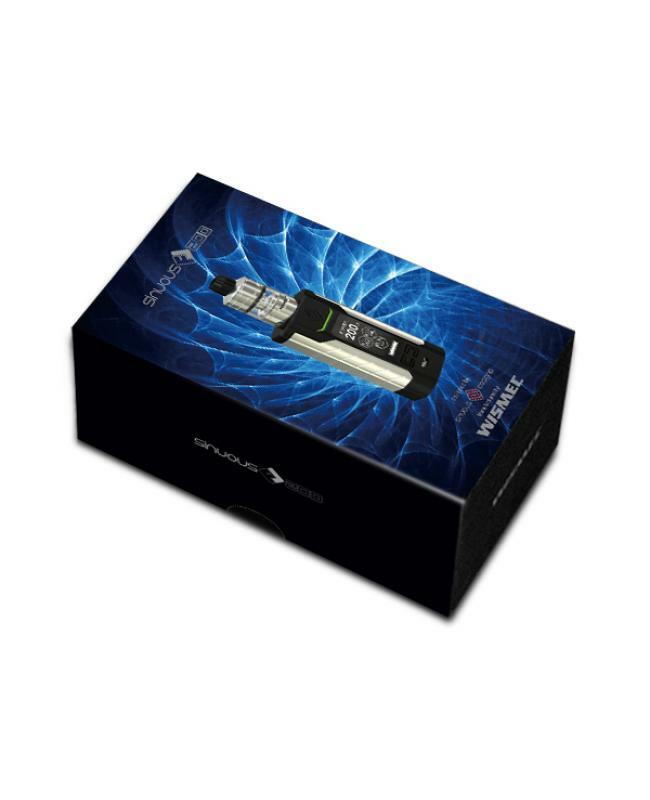 the sinuous mod with ergonomically designed shape is easy to grip and carry. the hidden fire button and responsive indicator light also make sinuous FJ200 much fashionable. two sets of circuit protection system are applied, realizing the overall protection of over-charging,over-current and over-discharging. can charge the internal battery or upgrade the firmware to connect the mod to PC via micro USB port. 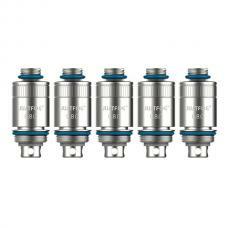 the divider tank can hold 2ml e juice, after unplugging the silica gel plug, it will hold max 4ml e juice. 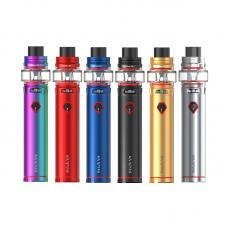 the retractable top refill design and convenient bottom airflow control design allow vapers inject e juice quickly and adjust the airflow to your preference easily. 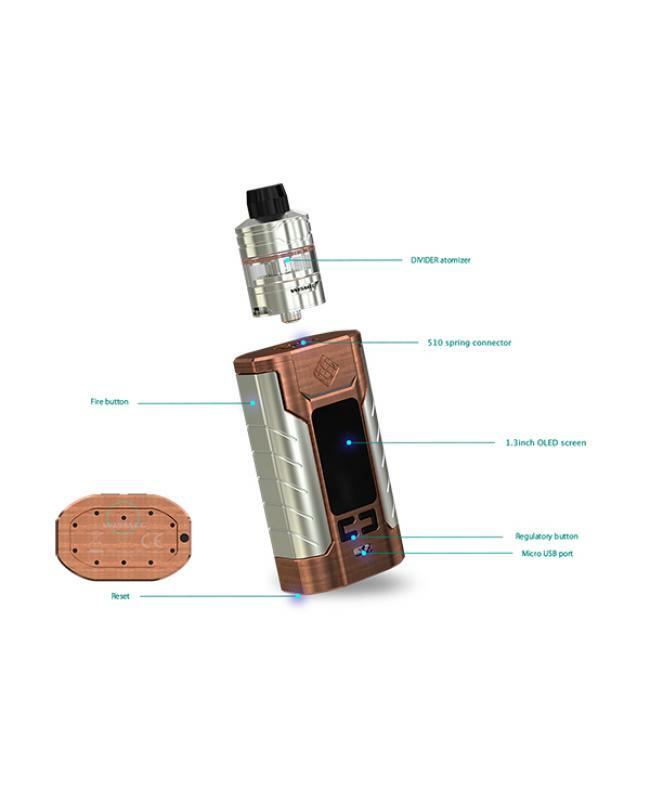 the new wismec vapor mod kit will deliver a satisfying all day vaping experience to you, if you are searching for one new kit, could not miss this.